This shop has been compensated by Collective Bias, Inc. and its advertiser. All opinions are mine alone. #CelebrateGoodness #WakeUpRight #CollectiveBias Ready to brighten up your day and wake up with a smile? 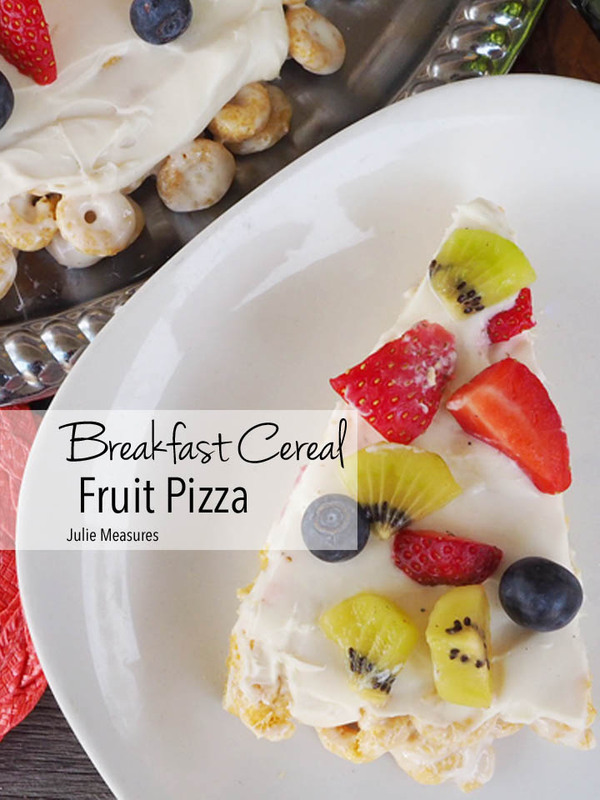 Make this simple Breakfast Cereal Fruit Pizza! Make your family smile when you serve them pizza for breakfast! 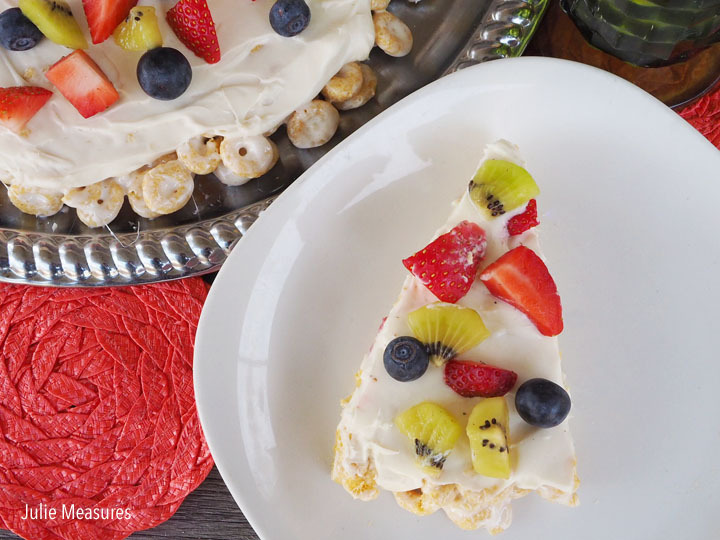 But this isn’t your average pizza, this is breakfast fruit pizza. Breakfast is my favorite meal of the day! In fact I often make breakfast for lunch and dinner. Because I love breakfast so much, I like to make it fun for my kids. I also love to serve breakfast foods in new ways, like turning Malt-O-Meal Golden Honey O’s into a Breakfast Cereal Fruit Pizza. Life’s delicious joys are meant to be shared. 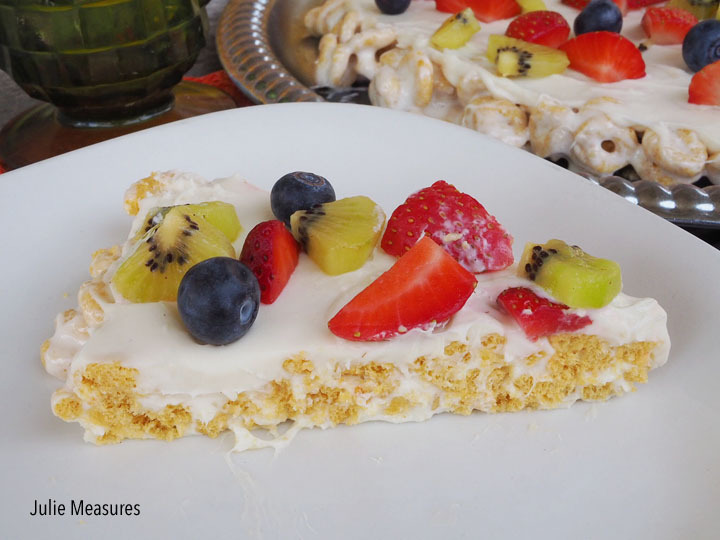 And this simple breakfast cereal fruit pizza is perfect for sharing! The ‘pizza’ can be made ahead of time and then be served as a surprise to your family in the morning. The first step is to pick up a bag of Malt-O-Meal Golden Honey O’s at Walmart check out the great offer, too. Malt-O-Meal Golden Honey O’s are one of Malt-O-Meal® cereals new flavors. Altogether there over 30 delicious varieties. Plus they’re less spendy and so tasty. 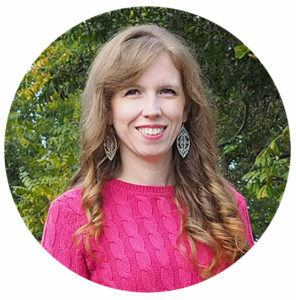 Get $1 cash back right now with Ibotta! 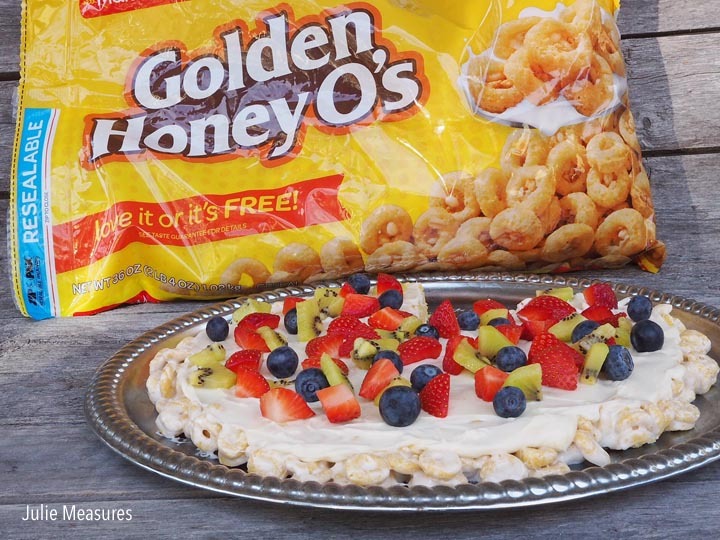 I’m using Malt-O-Meal Golden Honey O’s to create the crust for my breakfast cereal fruit pizza. Prepare a round pizza pan or serving tray by buttering it. Combine butter and marshmallows and melt in the microwave. Then stir in Malt-O-Meal Cereals Golden O’s until evenly coated. Pour out your cereal mixture onto your prepared pan. Using the buttered back of a spoon or your hands that you’ve buttered, press the cereal mixture firmly in pan. 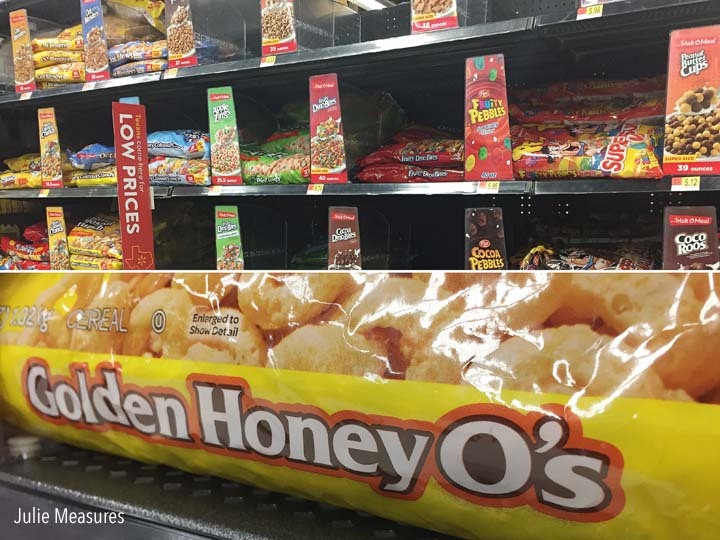 Made with corn, oats and rice and packed with honey flavor, Golden Honey O’s cereal is part of an irresistibly delicious breakfast or snack any time of day. 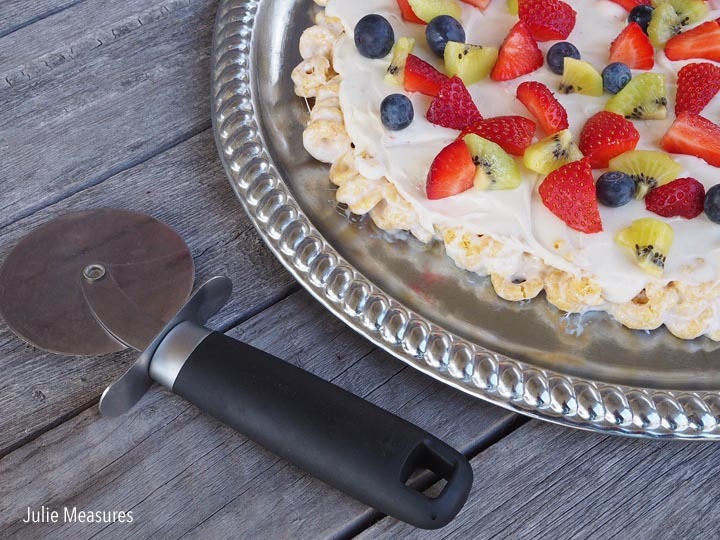 And they make the perfect crust for my cereal fruit pizza! While the crust is cooling create the cream cheese spread. Combine cream cheese, sugar, and vanilla, and beat until fluffy. Spread the mixture over the cereal crust. Next add your fruit! I used strawberries, kiwi fruit, and blueberries for my toppings. I peeled and sliced the kiwis and quartered my strawberries. After you’ve added the fruit you can brush on some warmed apple jelly. It gives the fruit a beautiful shine. 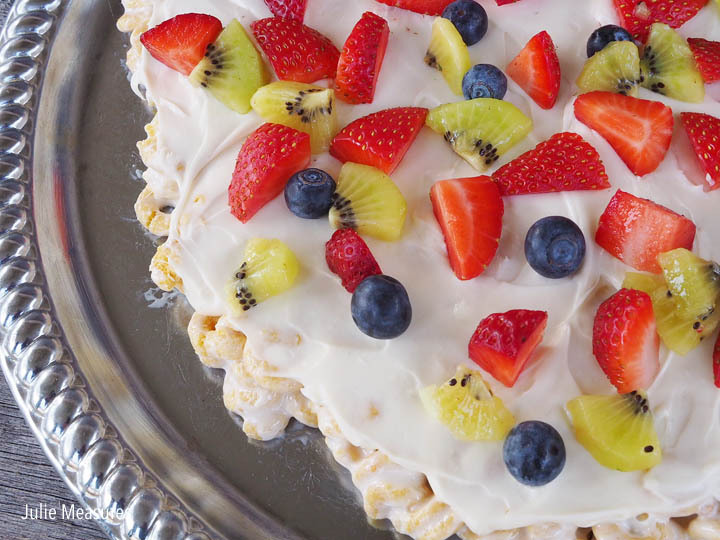 Once you’ve added your fruit topping you can slice and serve your breakfast cereal fruit pizza. I even used a pizza cutter to slice and serve my pizza. 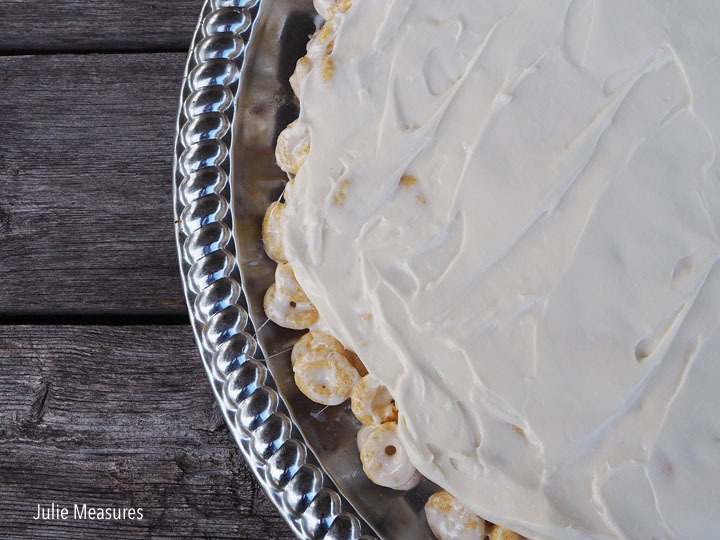 Want more cereal inspiration? 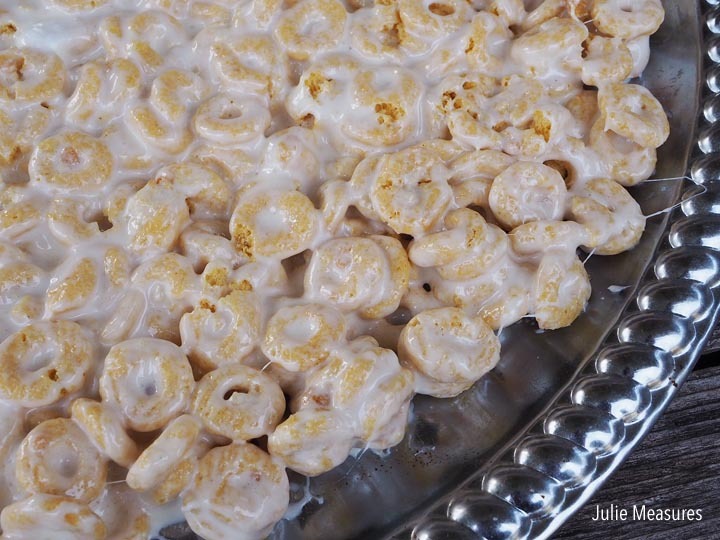 Find unique recipes for cereal anytime! Butter round pizza or serving pan. In large microwavable bowl, microwave butter and marshmallows uncovered on high for about 2 minutes. Stir mixture after every minute, until smooth. Immediately stir in cereal until evenly coated. Using the buttered back of a spoon or your hands that you’ve buttered, press the cereal mixture firmly on prepared pan. In small bowl, beat cream cheese, sugar and vanilla with electric mixer on medium speed until fluffy. Spread mixture over cooled crust. Arrange fruit over cream cheese. To serve, slice into wedges. Cover and refrigerate any remaining pizza.